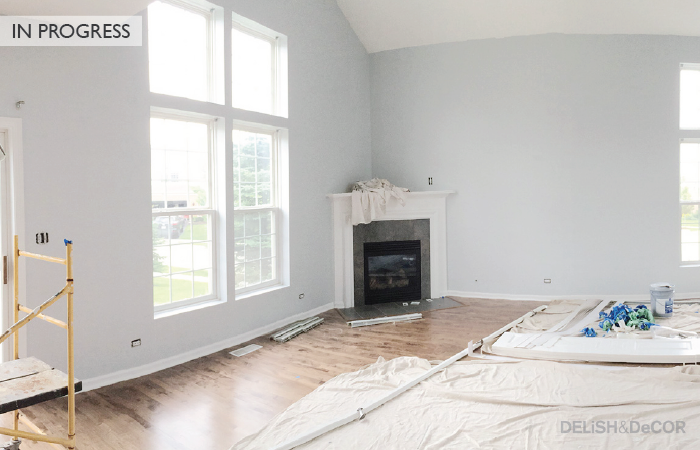 Painting a new color on the wall can create a sense of ownership to the new place. It is also one of the easiest and least expensive way to transform the space. And that was what I did after I got the key. I also took advantage of empty space, no furnitures that need be to moved around or have covers on them. I took the before photo on the same day that we closed on the townhome…it was exciting!!. Now all the not so fun part is done ( inspection, appraisal, closing..etc). 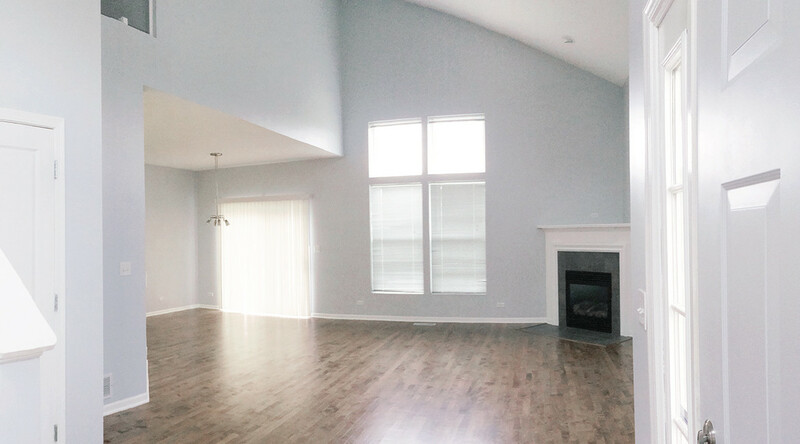 The fun part begins… make the house feel like home. Problem : Beige wall color!! 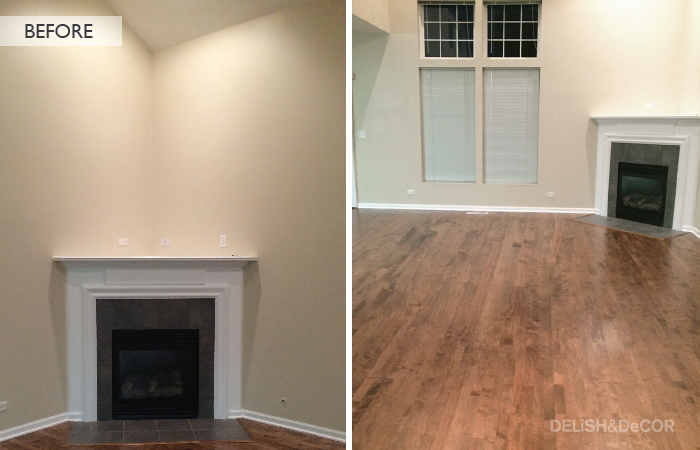 Even though it is a neutral color, the yellow tint on the wall makes the wood floor look more yellow and orange. Solution : To get the soft, modern look that I want, I decided to paint all the wall light grey. I choose Olympus White (SW 6253) from Sherwin-Williams. The room looks much brighter and bigger. 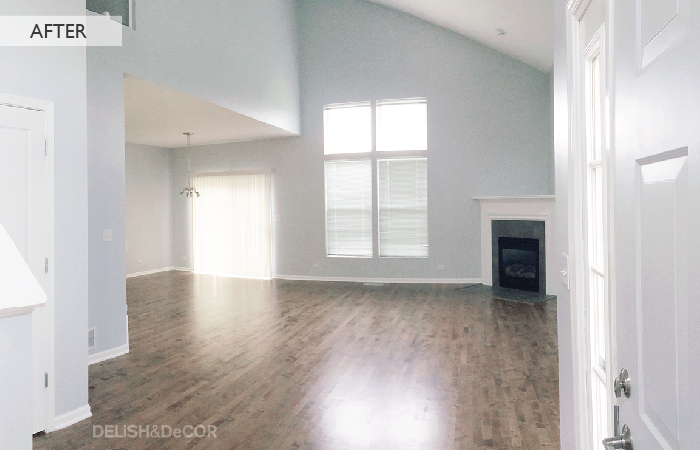 The grey tint brings out the warm and natural wood color of the floor.